We carry area rugs at our Barrie, ON store in many different styles, colours, and textures. 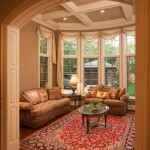 Area Rugs in Barrie – An area rug can brighten up any room in an instant. Plus, if you change your mind later on, the rug can be moved to another room in your house to improve its aesthetics. If you’re interested in accessorizing your home in Barrie, Ontario with a few new area rugs, come and see us at Giant Carpet Flooring Centre. If you need help picking out the perfect new area rug for your home, we are always more than happy to provide you with guidance or point you in the right direction. At Giant Carpet Flooring Centre, our dedication to customer service is something that we’re proud of. Give us a call to find out more about the area rugs we keep in stock or stop by our store today. At Giant Carpet Flooring Centre, we offer high-quality area rugs to residents of Orillia, Barrie, Alliston, Angus, Newmarket, Cookstown, Innisfil, Bradford, Midland, Wasaga Beach, Collingwood, Muskoka, Gravenhurst, Bracebridge, Thornton, Everett, and all of Simcoe County, Ontario.